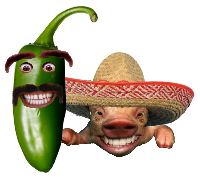 1/2 Tsp. Red Pepper Flake. This is a very simple yet tasty recipe. We will start with the marinade. 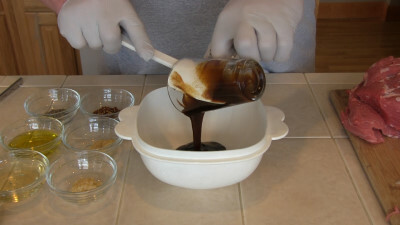 In a medium mixing bowl combine the following ingredients. Once the marinade is ready it's time to marinate the Tri Tip. 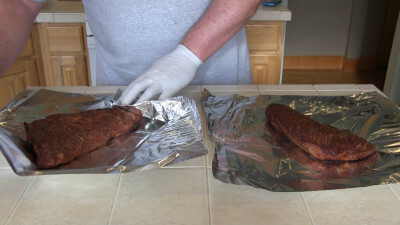 You should remove all fat and sliver skin from the tri tip. Place each roast into its own 1 gallon Ziploc bag. Pour 1/2 the Hoisin marinade into each of the Ziploc bags. Squeeze the air out of each bag and seal them tightly so there are no leaks. Place the bags in the fridge to marinate for 8 hours. I recommend turning them over after 4 hours into the marinade process. 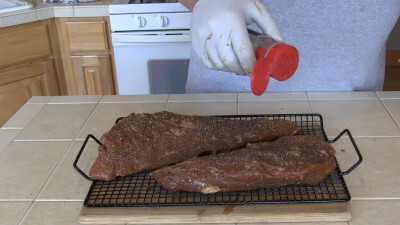 After the tri tip has marinated for 8 hours, remove it from the fridge. Remove the roasts from the Ziploc bags and place them onto a smoking rack. 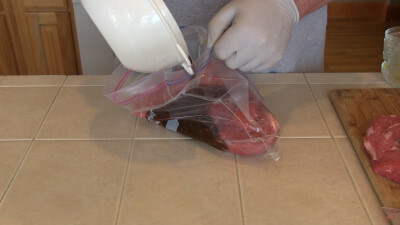 Blot them using paper towels to remove the excess marinade. Apply a liberal dusting of coarse ground pepper. Do this on both sides of the Tri Tip roasts. 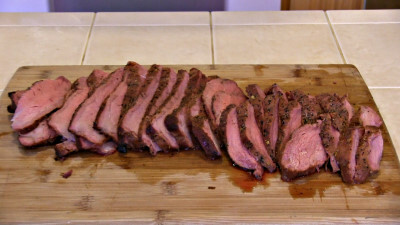 Let the tri tip sit at room temp for 1 hour. During this time build your fire if your cooking with wood. Pellet cookers can be started 30 minutes before cooking. Pre-heat the cooker to 230 - 250 degrees. Once your cooker has reached temp and your fire is efficiently producing thin blue smoke, you may place the Tri Tip roasts into the cooker. Cook the roasts until the internal temperature of the meat reaches 138 degrees. Once the meat has reached the target temp of 138 degrees or your preferred target temp, then remove the roasts and foil wrap them tightly in Aluminum foil. Allow the roasts to rest in the foil for 30 minutes. Once the roasts have rested it's time to carve the meat. Make sure you cut across the grain of the meat. 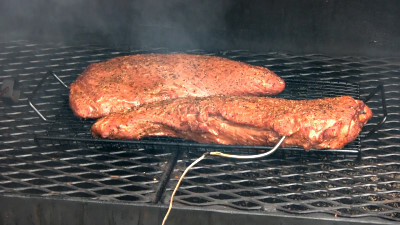 Most tri tip have grain running in two directions. Cut the roast in two where the grain of the neat changes. Then slice across the grain. That's it! Your done and it should be a fairly easy cook with big flavor in the end.